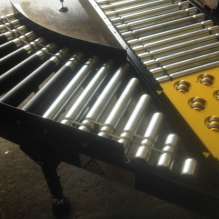 We specialise in a range of products, including belt conveyors, gravity roller conveyors and bespoke conveyors. We hire all types of conveyors including simple gravity sections for rework, inclined belts to help move cartons and boom conveyors. 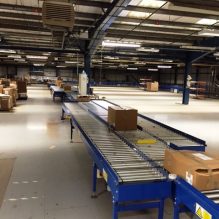 We have various applications for our customers, including sortation and pallet handling. 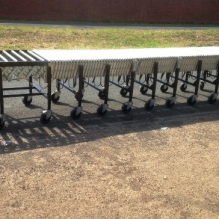 We supply pre-used conveyors to businesses throughout the UK and abroad. View our latest available stock. If you or your company handles materials or packaging, Active Handling Systems can help. and trolleys, mezzanine floors and partitioning. equipment within businesses on short, medium and long-term hire and lease contracts. If you need machinery urgently, but have limited capital, we can help. 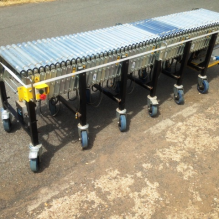 We also hold a large stock of Used Conveyors that are refurbished to a high standard and are covered with a 12 months warranty as per new. If you have a limited budget, and are in need of quality, we can help. Braitrim UK, Cunard, Initial City Link, Royal Mail and Lear Corporation. If you want a specialist to handle your handling, we can help!